When you got one excellent video on your device then you can enjoy it for longer time. We always listen such songs on our smartphone when it has wonderful quality. It is also possible that many people want to edit such favorite videos to watch that particular part. Like as if we like one song from particular movie then we are eager to watch that song again and again, but due to the length of movie it is enable to watch only that part. In such cases we can use video editor app on our smartphone. The new app Viva Video Editor is such one app which can help you to edit any video songs on our Tizen smartphone. Just edit it on your device and watch it whenever you want. Select the video from the gallery and cut it into the small version. It is that so simple that you don’t need any specialization in it. Just open Viva Video app and cut that video into your favorite part. After that you can use that trimmed video for later use. The video will be stored into your gallery and you can use it in the offline mode. Many of us have habit to collect many videos on our smartphone and for that we always download many such videos from the Internet. Such one app on the Tizen platform is YouTube Downloader app which let you download any videos from the YouTube app. Using the app download your favorite video and save it on the device. You can use such videos for your all uses. It stores on your memory card so you can share it with your other friends using content sharing apps like SHAREit and Xender. 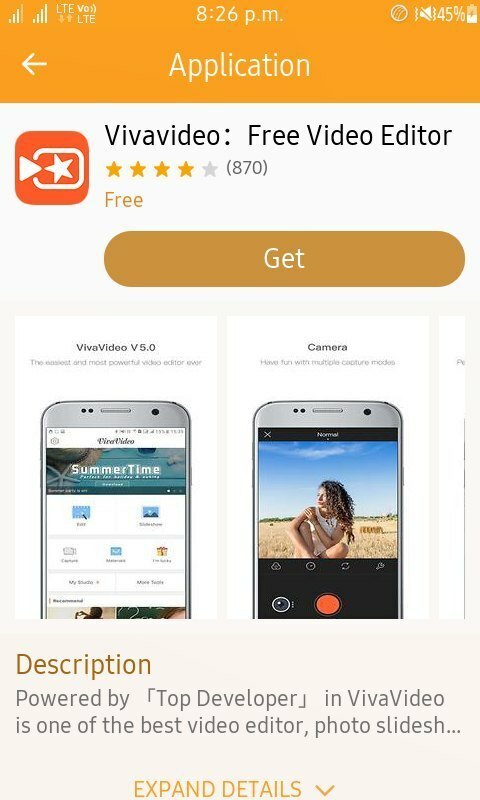 Viva Video is very famous app on other platforms and you may have seen its videos on social media. It is perfect app to create small and videos & share them on Facebook, WhatsApp or Instagram. Also you can use downloaded videos to share on popular social media accounts. To download Viva Video app go to Tizen Store and get it on your smartphone. The app is very easy to install and very easy to use. So go into the store and have a fun with your favorite videos. Sir games and app are not download . Neca likha arha ‘our application is unable to app”help sir . Had you signed up properly?